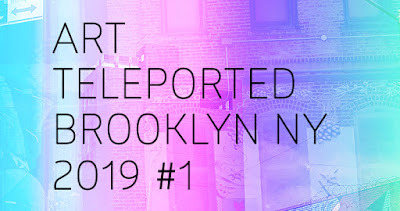 Art Teleported, The Art Show and Conference for Nomadic Artists, organized by CICA Museum from Korea, will be held in Brooklyn, New York from the January 4, 2019 to January 5, 2019. Leejin Kim, the art director of CICA Museum, known for featuring experimental and new media art worldwide, curated this event to suggest a new platform for nomadic artists in the global art scenes. Through Project Art Teleported, CICA Museum aims to create a global network among nomadic artists, designers, audiences and communities and promote culture of fluidity and flexibility. CICA Museum believes that we can make, share, appreciate, and live in art in any regions and cultures by understanding and appreciation of each other. Art director Leejin Kim said, "Many artists, including (myself), have multicultural experiences and also have experienced new media culture. We often feel that we don't fall into a specific identity. Rather, it becomes more like a hybrid. We are living in rapidly changing new media culture, and sometimes we can relate ourselves more to someone who is from halfway around the world than someone next door. It would be wonderful if we meet and do something exciting anywhere." 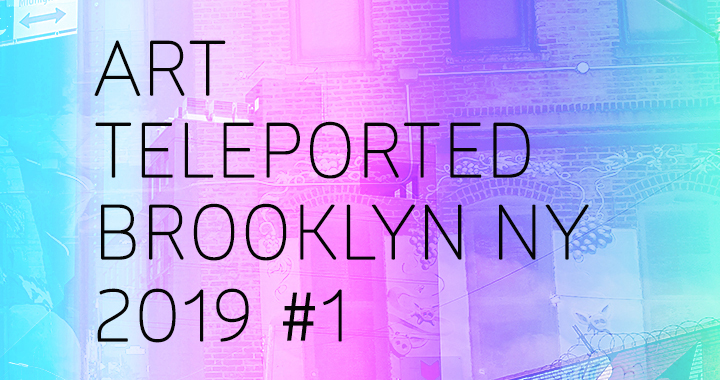 Art Teleported Brooklyn NY 2019 will feature 26 international artists from the US, Korea, Swiss, Germany, Venezuela, UK, Canada, Japan, China and Israel. Featured artists and scholars are Rora Blue, Kris Casey, Eun Hyung Chung, Maria Dundakova, Cedric van Eenoo, Genesis Gonzalez, Steve Guynup, Suji Han, Rhys Himsworth, Jee Youn Hwang, Nayoung Jeong, Hyunsoo Kim, Zahra Komeylian, Eun Lee, Christina Ivelisse Morris, Ryohei Oba, Seungkyung Oh, Nitzan Satt, s/n, Cecilia Suhr, Rebecca Vickers, Fu Wenjun, Kyungjin Yoo, Kay Yoon and Jonas Wiel. The event will be held from the January 4, 2019 to January 5, 2019 at 100 Bogart St. Brooklyn, NY 11206. The conference sessions will be from 9 a.m. to 1:45 p.m. on January 5, 2019 and the Party and Performance will be from 2 to 5 p.m. on January 5, 2019. The general registration is available on the Art Teleported website (cicamuseum.com/artteleported). Started from the sculptor Czong Ho Kim's studio in 1994, Czong Institute for Contemporary Art (CICA) became a unique cultural space founded and cultivated by artists. Since 1994, Czong Ho Kim has designed and built the art complex with a distinctive style, consisting of five buildings in Gimpo, the satellite city of Seoul. CICA Museum has organized diverse experimental publication and international exhibition series including the CICA international exhibition and publication on New Media Art, Art Yellow Book, and Artist Statement. In 2017, CICA Museum formed the CICA New Media Art Conference (CICA NMAC) with collaboration of Gimpo City and it became the annual conference since then.